Several local businesses accept used nursery containers. Accepts 1 to 15 gallon nursery pots and ground cover flats. Accepts 5 and 15 gallon plastic containers and unbroken plastic boxes. Accepts 1, 5 and 15 gallon containers. Accepts 1 gallon and larger containers. Accepts 1, 5 and 15 gallon black plastic containers. Accepts 1 to 15 gallon plastic containers. Accepts 1 to 15 gallon plastic containers and 24 to 38 inch boxes. Return used nursery containers, plastic trays and tags to a Lowe’s Garden Center. Lowe’s will accept these containers for recycling, regardless of where you purchased them. 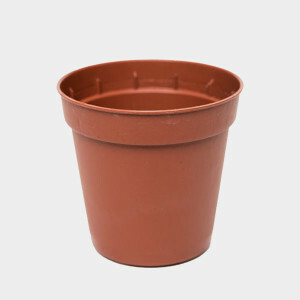 Consider reusing nursery containers to start seeds, divide up plants or transplant seedlings.